What is a Credentialed Contractor? Installing an effective roofing system is an important investment—one that is not to be approached half-heartedly, as quality roofing solutions are designed to last a long time. 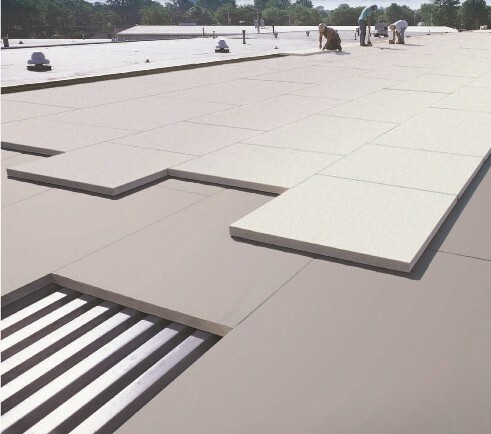 Excellence in manufacturing of roofing materials is crucial, and how well the installation is performed plays an equally important role in the durability and efficiency of an applied roofing system. Why Choose a Credentialed Contractor? In simple terms, the term “roofing contractor” is a designation that is given to a professional who oversees or executes a roofing project. The roofing project may be either residential or commercial. Licensing refers to the process of obtaining permission from relevant authorities to practice or undertake projects within a geographic area, usually a township, county or state. Credentialing refers to obtaining credentials or certificates from reputable issuing bodies (often manufacturers). These credentials/certificates are given to roofing contractors or companies following successful completion of specialized training courses or programs. Credentialing is a statement that attests to the knowledge and expertise of a roofing contractor or company. What is a Credentialed Roofing Contractor? Following the description of credentialing and what it implies, a credentialed roofing contractor is a roofing contractor with one or more credentials or certificates. Issuing bodies that confer these credentials on roofing contractors are primarily manufacturers—for example, the Gold Star Contractor Credential issued by CertainTeed is given to top notch commercial roofing companies, whereas the CertainTeed SELECT ShingleMaster Credential is for companies that specialize in residential roofing. Other credential-issuing bodies include roofers’ association-affiliated institutions offering programs in specific areas—for example the Certified Solar Roofing Professional™ (CSRP) certification program administrated by Roof Integrated Solar Energy™ (RISE) Inc., in affiliation with National Roofing Contractors Association (NRCA) and the Center for Environmental Innovation in Roofing. These credentials speak for the company as being qualified to carry out an efficient roofing installation—thereby erasing the difficulty in assessing the expertise and qualification of roofing contractors. Due to the variety of credentials available, it is possible for a roofing contractor to possess certain credentials and not have others. In fact, it is commonplace for a roofing contractor to not have all the credentials currently available. What this implies is that while choosing a roofing material to be used, it is important to inquire and note if there are related training programs which issue credentials for the given roofing material. Should there be any such programs, it is recommended that you identify roofing contractors who possess the necessary credentials to carry out your roofing project. The critical role that roofing performs requires that the roofing process is done right. From the planning stage through to completion of the installation, it is crucial to only allow those who have demonstrable knowledge, expertise, and qualifications to be part of the roofing process. Offer extended manufacturer warranties that extend past the usual manufacturer warranty benefits. These warranties may cover costs associated with labor, disposal, replacements, and workmanship, over an extended period of time. Perform quality work that will put your mind at ease about the integrity of the roof system after the roofing process has been completed. Offer excellent advice and recommendations about the roofing process as well as provide answers to your questions. So how do you go about determining whether a contractor or company holds those credentials needed to get the job done right? You can typically verify the credentials of a roofing contractor by visiting a manufacturer's website, as most keep a publicly accessible database of companies who hold credentials - such as CertainTeed's 'Find A Pro' tool. That the credentialed roofing contractor is licensed if licensing is required. That the roofing contractor has company certificates of insurance. Furthermore, you should ensure that the company covers liability and workers’ compensation insurance and that this coverage is current. Note that workers’ compensation is not required in Texas. In conclusion, credentials are a hallmark of a roofing company who has verifiable product and installation knowledge, yet be sure to verify credentials and other professional criteria before you award a roofing contract.